VIDEO: Get rid of pain from ARMWRESTLING in middle of your upper arm (brachialis) with stretches and myofascial release techniques. 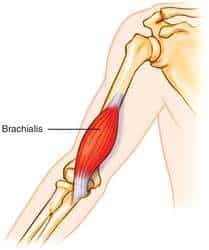 Have you experienced pain in middle of your upper arm after armwrestling in a brachialis muscle. From all the rotation and tension that is put on this muscle sometimes it will tighten up and won`t let go. Stretching this muscle is almost impossible but you can try (for stretching scroll down). If stretching won`t work try release techniques used in video (scroll down). We use these techniques to get rid of pain in upper arm or brachialis muscle. We recommend you to invest in foam roller or physio ball (tennis ball will do it). 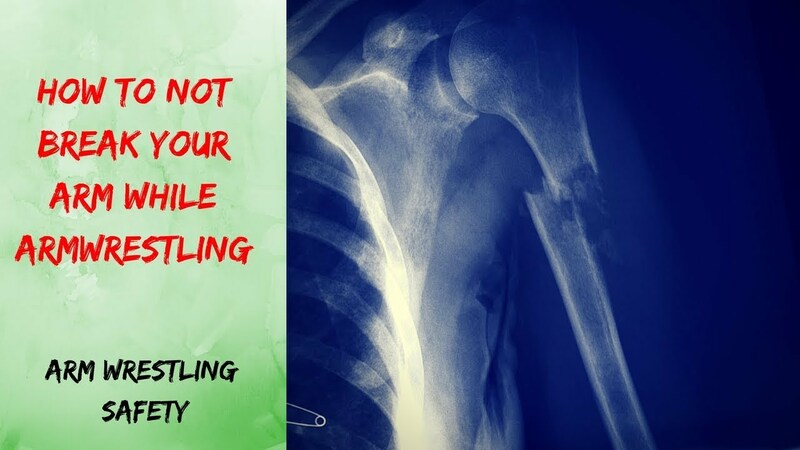 Injuries can put you back by weeks or even years and your armwrestling career will suffer. This muscle is important to Load-up and Toproll or basically all armwrestling movements. Keep your arms healthy and your Toproll and Hook pain free. The brachialis is a long and strong muscle of the upper arm. It originates at the distal half of the anterior side of the humerus. In addition, the origin tendon attaches to the medial and lateral intermuscular septa of the arm, two dividing membranes separating the flexor from the extensor muscles. Distally the muscle inserts at the tuberosity of the ulna where its’ fibers are also connected to the joint capsule. The primary function of the brachialis muscle is to flex the forearm. Flexion of the forearm is the same motion used to perform bicep curls, which involves bringing the hand upward by bending at the elbow. Contrary to what you might think, the brachialis is actually stronger than the biceps brachii and functions as the primary flexor of the forearm. 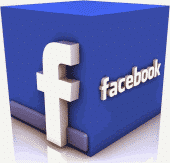 You perform forearm flexion constantly each day. For example, you must flex your forearm in order to armwrestle, eat, drink, brush your teeth, and bathe (imagine trying to perform all these daily tasks without bending your elbows). Because the brachialis muscle is used so frequently, it oftentimes becomes irritated, inflamed, or damage from overuse. Some of You will need to do this only one time but some will have to work on it. 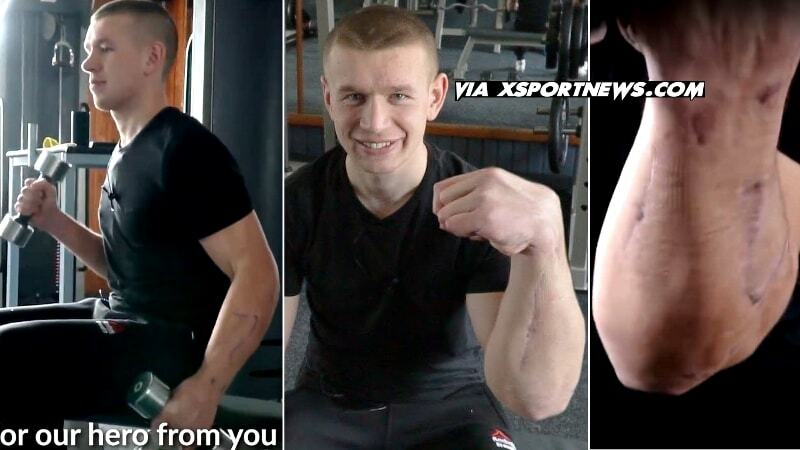 When you do any of these release techniques don`t do any armwrestling or exercises that cause pain. Doing more exercises or armwrestling will stop healing processes. Once pain is gone go back to armwrestling. Stand in a doorway with your shoulders parallel to the doorway’s opening. Reach straight to the side and slightly back to grasp the doorjamb at shoulder level with your right hand. Back further away from the doorjamb, if necessary, so you can fully straighten your right arm. Turn your body slowly toward the left until you feel a stretch in your upper right arm. Hold the stretch for 15 to 30 seconds, breathing normally, then switch to the other side. Do the stretch a total of three to five times on each side. Sit down on the floor. Straighten both arms, and plant your hands on the floor behind you, slightly wider than your hips. Turn your hands so your fingers point straight back. Scoot your hips slowly forward, keeping your weight evenly distributed, until you feel mild tension in your biceps and brachialis. You might feel a stretch across your chest, too. Hold the stretch for 15 to 30 seconds, breathing normally, then scoot your hips back toward your hands to release the stretch. Repeat a total of three to five times.